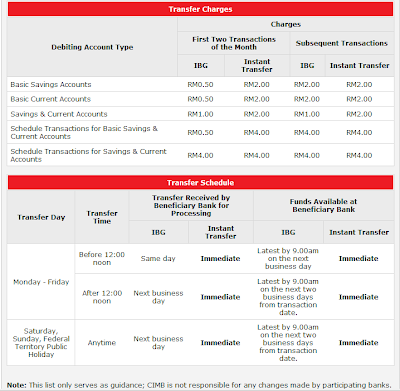 As, I was transferring my money online using CIMBClicks , I noticed something different. There is additional feature that was not there last time before the CIMBCLICKs website underwent a major overhaul. Now, the money transfer to other banks can happen immediately instead of waiting a few working days. Of course , it comes with higher transaction charges. This immediate transfer also comes with account number & name validation of the recipient. Previously, you cannot do this with CIMBClicks mainly because you would need access to the other banks's database. So, usually if I need to transfer huge amount of the money, I will go to the recipient's banks physical branch and will ask the teller to double confirm the account number and name of the account holder. 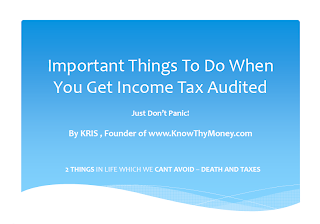 This is to avoid the fat finger syndrome which causes you to transfer money to the wrong people!! 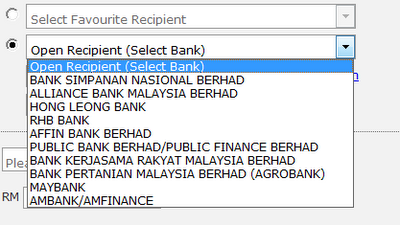 However, it seems that CIMB only have this agreement with a few banks. I don't see any major foreign banks such as CITIBank , HSBC, or UOB. Banks not on the list would need to use the "slow" payment method. (~2 working days for the recipient to receive the money, depending on what time of the day you do the transaction online). 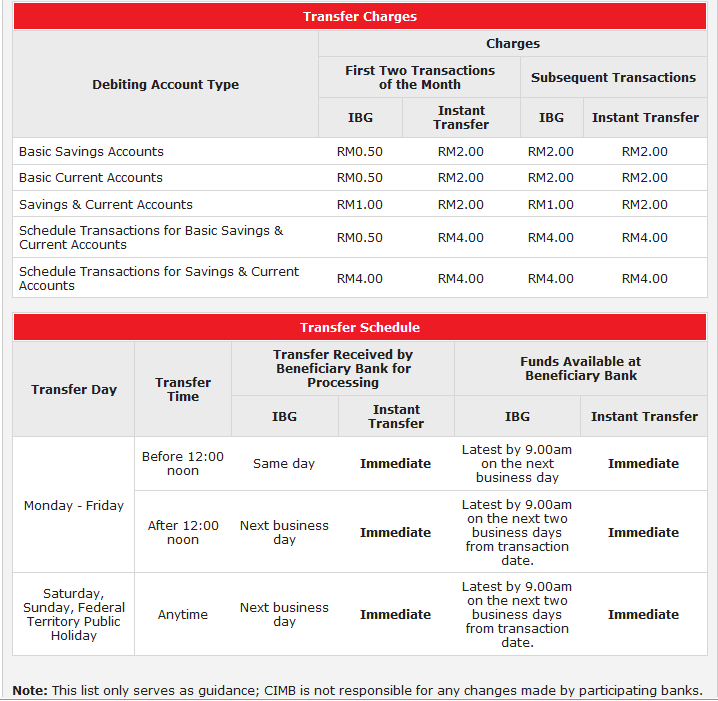 So if you need to transfer money ASAP, you just need to pay more for this Instant transfer service.